The Dragon Urns are on either side of the East Terrace entrance to the Bellingrath Home. 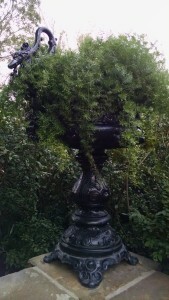 Detail of urn outside of the Conservatory in the Rose Garden, made by J.W. Fiske N.Y.
Bessie Bellingrath collected many fine examples of Victorian iron works to enhance the Gardens and Home. 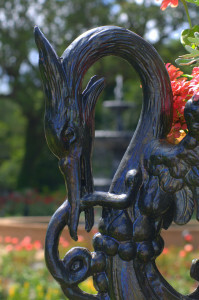 Visitors will notice quite a few cast iron planters in the Rose Garden and on the terraces of the Bellingrath Home. 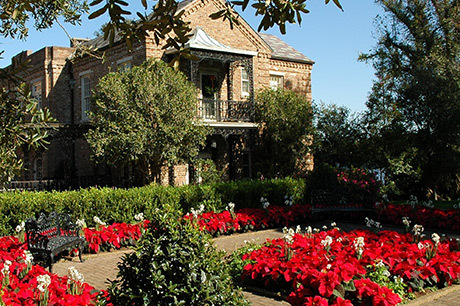 Mrs. Bellingrath purchased the Fiske urns in front of the Conservatory from New Orleans cotton broker George W. Clay. The towering urns on the North Terrace outside the Bellingrath Home also came from New Orleans, purchased from Harry and Elizabeth Holden. The urns on the North Terrace were purchased from Harry and Elizabeth Holden of New Orleans. 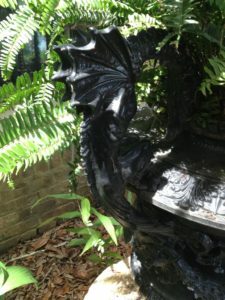 I have recently discovered an interesting bit of history about the Dragon Urns on the East Terrace of the Home. 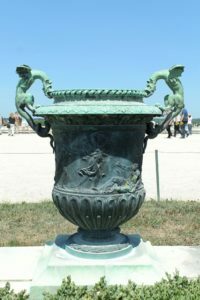 The maker of the Dragon Urns is unknown, but their design was inspired by what was termed a “garden vase” made of bronze decorating the Parterres du midi (Middle Flower Beds) at the Palace of Versailles. 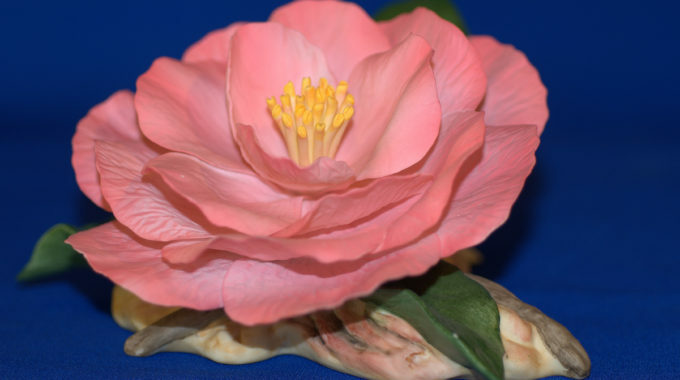 They were designed by Claude Ballin I (1615-1678), a French sculptor and goldsmith. The set of 8 vases or planters were adorned with an assortment of mythical creatures, including sphinxes, mermaids, satyrs, cupids and dragons. 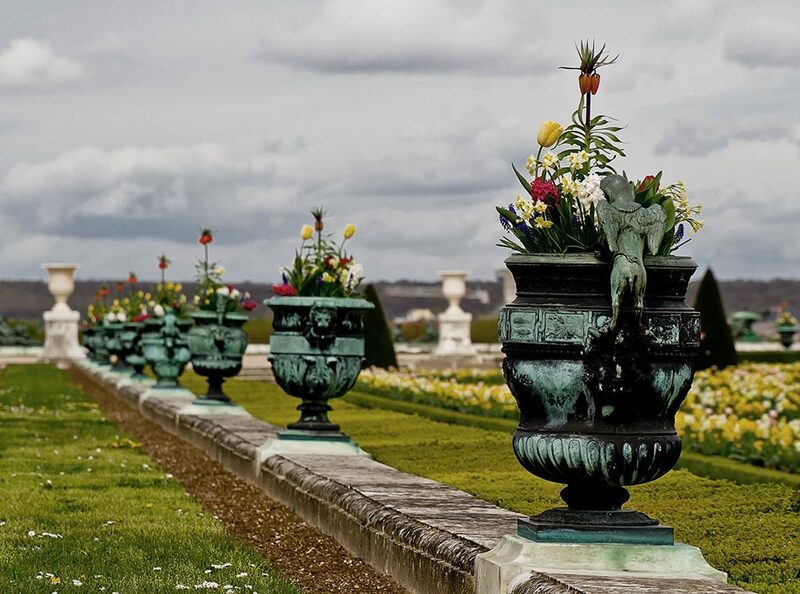 The garden vases at Versailles are decorated with mythical creatures. Following the French Revolution, Versailles had been unoccupied and used as a repository for artworks looted from churches and princely residences. During the darkest days of that period there had been a proposal to send all of the metal statuary and planters in the gardens of Versailles to be melted down for cannon. Luckily, the measure was tabled and never came up again. In 1837, under the reign of Louis Philippe I, restoration of Versailles as a museum dedicated to the history of France began. 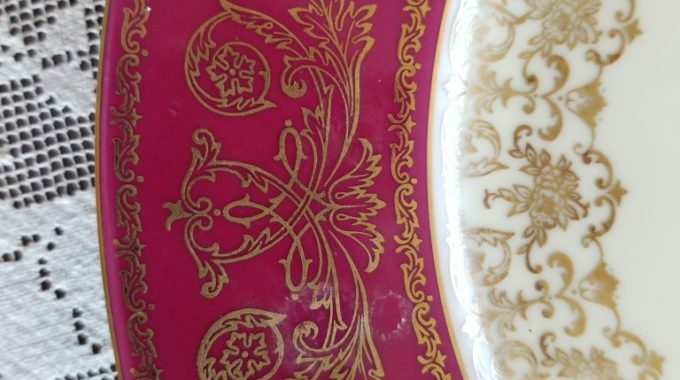 Restoration of the grounds eventually drew attention to the planters or vases adorning the “Middle Flower Beds,” and between 1852 and 1853 they were masterfully reproduced by a French smelter. By the time they were installed, France was under the reign of Napoleon III and his wife, Eugenie, who would propel France into the world’s leader in fashion and style. 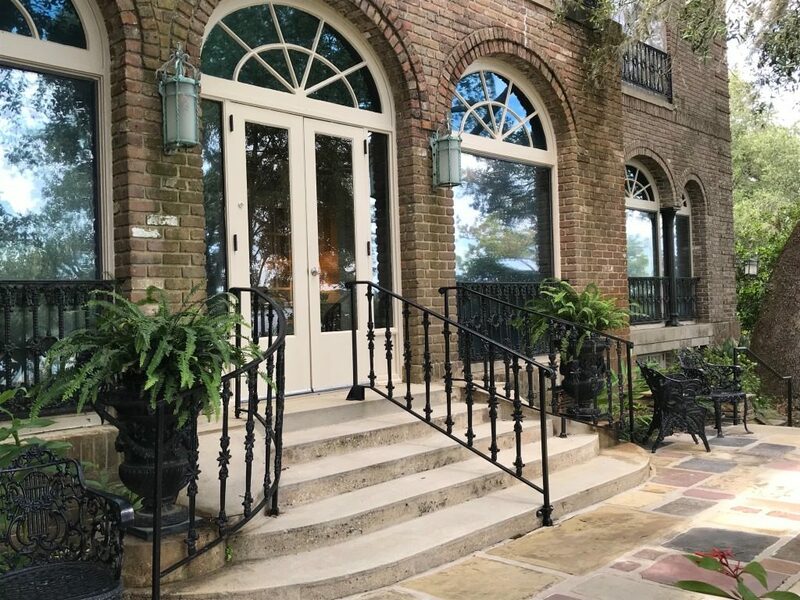 The planters on the East Terrace of the Bellingrath Home appear to date to the antebellum era, when everyone from furniture makers to porcelain factories was turning their attention to France. Rather than recreate the French “vases” in the original bronze, an American foundry borrowed elements of the 17th century designs and cast them in more affordable iron.